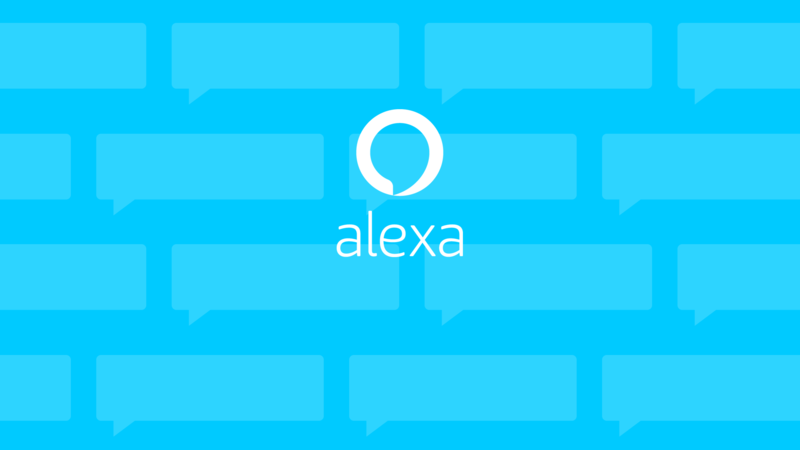 FROM HOME ASSISTANTS LIKE ALEXA TO APPS LIKE UBER, ARTIFICIAL INTELLIGENCE IS ALREADY MAKING OUR LIVES MORE CONVENIENT. BUT BEYOND LIFESTYLE GAINS, CAN IT BE HARNESSED TO HELP OVERCOME BIGGER CHALLENGES FOR THE BENEFIT OF ALL? He went on to reflect on a trend that is shaping how hi-tech’s big players are approaching the development of new technologies, where innovation for the benefit of society is key. Just as Google is keen to stress how artificial intelligence (AI) has the potential to positively impact healthcare, so its competitors are also showing a benevolent face: IBM launched its Science for Social Good programme in 2017, while Microsoft’s ‘AI for good’ declares its commitment to positively impact the environment, education and healthcare. Whether or not the tech giants’ motives are truly benevolent, many believe that AI can be harnessed for the common good. The first AI for Global Good Summit was held in 2017, bringing together United Nations (UN) agencies, government officials, industry leaders and AI experts to discuss how AI solutions could address global challenges; at the 2018 Summit AI and digital technologies were identified as vital in achieving the UN’s Strategic Development Goals (SDGs). Can AI really help to make the world a better place? And if so, how? DeepMind is a prime example of an AI start-up that has flourished under a tech giant. Founded in London, UK, in 2010, it was acquired by Google in 2014 and is now a world-leader in AI research and its positive application. DeepMind Health was launched in 2016 and has worked in partnership with two London hospitals: Moorfields Eye Hospital, where AI is being used to help clinicians improve the diagnosis and treatment of sight-threatening eye conditions; and the Royal Free Hospital, where the AI-based Streams mobile app is being used to detect patients’ risk of acute kidney injury. Both applications have yielded positive results, enabling quicker diagnoses and treatment, and saving time for clinicians and nurses. DeepMind’s healthcare solutions show that AI undoubtedly has the potential to transform patient care and treatment. However, early testing of the Streams app and Google’s recent announcement that its DeepMind subsidiary is being moved into the main arm of the organisation, have raised concerns about the sharing and use of patient data. AI can process vast quantities of data quickly and accurately, but it also needs vast quantities of data in order to ‘learn’. Particularly in light of the Cambridge Analytica scandal, where personally identifiable data was harvested from Facebook and sold for political gain, there is heightened concern about how personal data is held and used. In an increasingly connected world, issues around personal data have arguably become more problematic. However, this hyperconnectivity is also helping to drive, develop and deliver AI-based solutions aimed at improving access to healthcare. Despite its healthcare system being universal, India has one of the largest subnational disparities in access to quality healthcare in the world. Bangalore hosts one of the largest tech clusters in the world, with numerous homegrown start-ups innovating to find ways to make healthcare more readily available in areas with a high patient to doctor ratio, or where medical facilities are not easily accessible. Mfine, for example, has developed an AI-powered platform to connect patients with medical professionals via a ‘Cloud Clinic’. Partnering with 30 local hospitals, it facilitated over 25,000 consultations in six months. Meanwhile, SigTuple is developing a platform which uses machine learning to collect, digitise and analyse medical data from specimens including blood samples and x-rays, with the aim of deploying it in areas where a lack of resources and trained individuals raise barriers to accessing care. Hyperconnectivity has also enabled new ways of working that have allowed start-ups to flourish and has, together with technology, democratised innovation to some extent. But investment and support is key if the young entrepreneurs looking to innovate for social good are to succeed. Whether backed by governments, industry or academia, investment in specialised hubs and accelerators is growing globally. In Singapore, supporting tech start-ups is a key part of government strategy, aimed in part at improving healthcare management in an ageing population with the fourth highest medical inflation costs in the world. Innovations being developed by the deep tech start-ups funded by government-owned company SGInnovate include a stethoscope that will allow doctors to ‘see’ into a body and use data to look for and analyse problems, and a handheld device capable of capturing ultrasound images from patients in more remote areas, which can then be used to make treatment recommendations. Crispin Lee, director of business development at UHY Lee Seng Chan & Co, Singapore, has noticed an increase in the number of start-ups seeking business support from the firm. “Singapore has a very probusiness climate, backed by government incentives and support,” he says. “As well as promoting Singapore as one of the best start-up hubs in the world, they are actively focusing on the tech space, including AI. Of course, the start-ups that are driving innovation need support beyond seed investment and early-stage mentoring if they are to succeed. In the light of potential interest from ‘big players’ such as Google, support from a trusted advisor is key. Rob Starr, corporate finance director at UHY Hacker Young in London, UK, helps support start-ups to raise finance. “Less experienced management teams may have the technical skills for their business but may need much more support. Alongside things like proof of concept, the ability to demonstrate market potential, and a sustainable and adaptable business model, would-be investors need to know how big the potential exit is likely to be and next steps following the current investment round,” he says. Stuart Hurst at UHY Hacker Young in Manchester, UK, sees that the flexibility that enables start-ups to lead AI innovation is also reflected in their approach to the services they use. While AI may not be a panacea to global challenges, its application is playing a valuable role designed to benefit humanity. It is perhaps not a question of whether AI can make us better, but rather how we use it.